This case concerns the formal requirements that an arbitration award must satisfy in order to be enforceable in England and Wales under the New York Convention of 1958 and the Arbitration Act 1996. Those instruments require that an arbitration award be duly authenticated or that its copy be duly certified. This case concerns the meaning of the certification required under the New York Convention and the Arbitration Act 1996. In this case, an arbitration occurred between the parties before the Judicial Arbitration and Mediation Service of Los Angeles, California (“JAMS”), according to the arbitration clauses found in the agreements, in which a company named Rainstorm was awarded US$ 28 million in compensation. 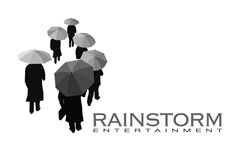 Following this award, on 29 August 2012, Rainstorm filed for enforcement of the award before the Commercial Court in London. In September 2012, an order was issued to grant enforcement of the award. However, Anthony Lombard-Knight filed to set aside the said order on the ground, inter alia, that it was defective under Section 102(1) of the Arbitration Act 1996 since no original documents or certified copies were produced. The Court of first instance agreed with the challenge, but rejected the substantive grounds of the challenge to the enforcement of the award. Both parties then appealed, and the Court of Appeal invalidated the Court’s ruling and reasoning. The Court of Appeal held that the documents were properly certified in compliance with the Arbitration Act 1996. It determined that, unlike the first instance decision’s reasoning, the Arbitration Act 1996 does not require the documents to be authentic. What matters is the belief that the document is a true copy. Moreover, the Arbitration Act 1996 does not require copies of arbitration agreements to be certified. This would be contrary to the intent and purpose of the New York Convention itself in the promotion of enforcement of awards.